Q: Do you want to increase the customer traffic through your business? Q: Do you want new customers to come in looking for the products you sell? Q: Do you want customers that can afford your products? A: Yes, I want customers that can afford my products. Q: If I can demonstrate that our publication will bring in more customer traffic, more customers that want and can afford your products, can you make a decision to buy today? A: Yes, if you can demonstrate that you can do all of that, I would buy today! The idea was to get them saying yes, until you popped the question and closed the deal. In all of the practice sessions it worked. In all of the training tapes, they showed us, it worked. Watching experienced sales people in action, the tactic appeared to work. However, when it was time for me to use the tactic, I could not make a sale. I could get the prospect to say yes to every one of the leading questions, but when it came time to hit with the first closing question, they started to pull back behind a wall of resistance. The more I tried to pull them back in with more yes questions the more resistance they gave me, until the sales call would just fall apart. After two weeks of using the tactic and not making a sale, by accident I found something better. I did decide not to start asking yes questions. My change was asking open-ended questions to find out what the prospect needed - what kind of customers they wanted, what their best sellers were, and on what products they made the most money. I phrased the questions where a one-word answer was impossible; the prospect had to explain the problem to me. I played dumb and made the prospect go through all of the details, explaining every painful problem they had getting customers in the door, getting customers to look at the products, and getting customers to spend the money. Then, as the prospect talked about their problems, I asked questions that started with the word why. 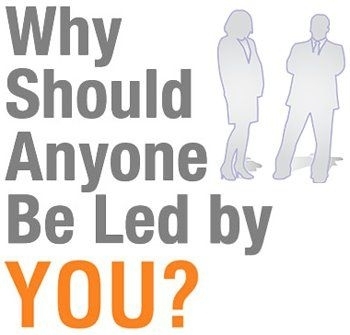 These “Why” questions uncovered the rationalizations the prospect used to explain why the customers did not come in droves, beating down the door with fists full of dollars to buy the products the merchant sold. Listening to the prospect, I realized, while advertising could help bring customers in, there were many more problems that simple advertising would not help. They were not selling the value of the product in advertising or on the sales floor. The attitude was “there it is, buy it.” No wonder they were having a hard time making the sale. Even as a 22-year-old guy, I could see that the real problem was the selling of the product. Even if I came up with the most effective advertising on the planet, all it would do is bring in more people to buy, who the store staff would turn off with “there it is, buy it,” and after time the customers would stop coming in, again. What happened next was magic. We talked about how staff attitude killed sales. We talked about how to design an advertising message that pre-sold the value of the product and why to come to his store for it. We talked about how to train the staff to deliver the same message, how they had to sell the product. In the end, I landed the account, for more space than what I originally thought he would buy, and for a full year of coverage. We worked together to build a better message, and plan how to drive the message to the sales floor with both training and signage. How does this story relate to the power of no? Is my point the idea of playing interested but hard-to-get in order to get people to buy something you are selling? No. The word No is a definitive statement, where Yes is a statement of possibility. When you say No to an option, you eliminate it from the selection process, you remove the option from consideration. Removing an option is a clear decision, a commitment. But when you say Yes, you are not making a commitment, for you can always say No later. Yes is a tentative word. No is an absolute. The quality of your life is directly related to what you are willing to tolerate. 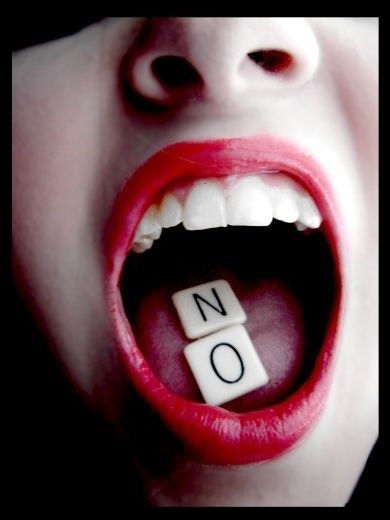 When I coach a client about making changes in their career, I start by asking what they will say No to. What jobs, positions, companies, industries, locations, compensation plans will they reject. I get them to think hard about what they are unwilling to tolerate, eliminating options. No is a commitment word. It creates clarity. It defines what is not acceptable. No creates boundaries. No sets expectation. No defines quality. No is a powerful word. The Power of Saying, "No"